Today marks not only the beginning of a new month, it's also the first time I've ever participated in a nail art challenge! You can read more about it over at Chalkboard Nails... (try not to get too much slobber on her page as you drool over her fantastic creations!) The way the challenge works is pretty simple. There's a prompt every day for 31 days. The challenge starts off with colors, then proceeds on to more challenging prompts. The idea is to really flex your creative muscles and come up with some awesome new ideas and techniques. The best part? Lots of bloggers participate... so you're in good company! I'm pretty sure this is one of the first OPI polishes my sister spoiled me with. She's totally an enabler when it comes to my polish addiction, and I'm okay with that! But seriously... I'm not sure what it is about this red, but I keep on coming back to it, more so than any of the other reds in my collection. 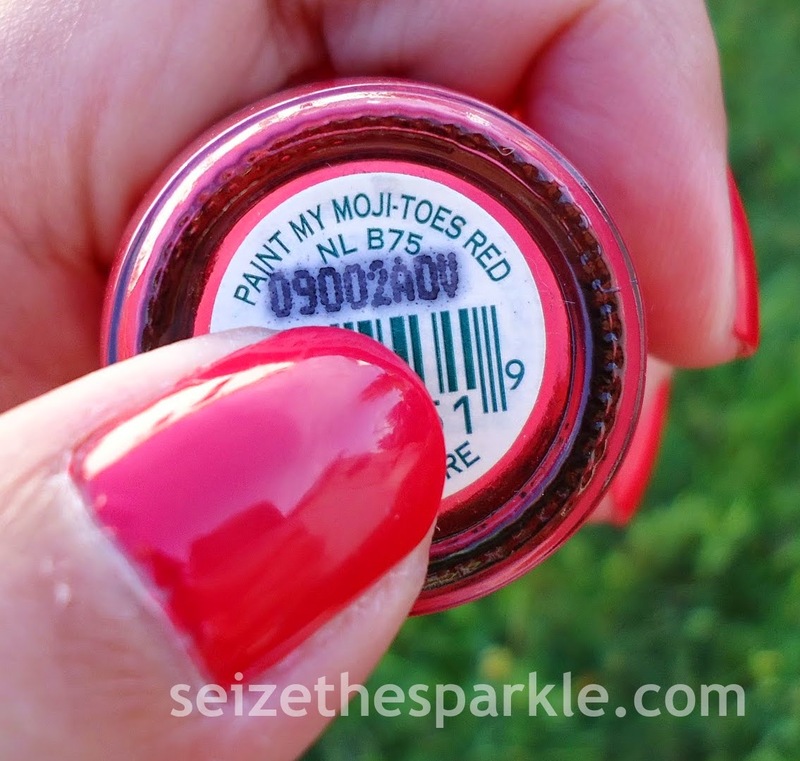 Paint My Moji-Toes Red was part of OPI's 2009 South Beach Collection. 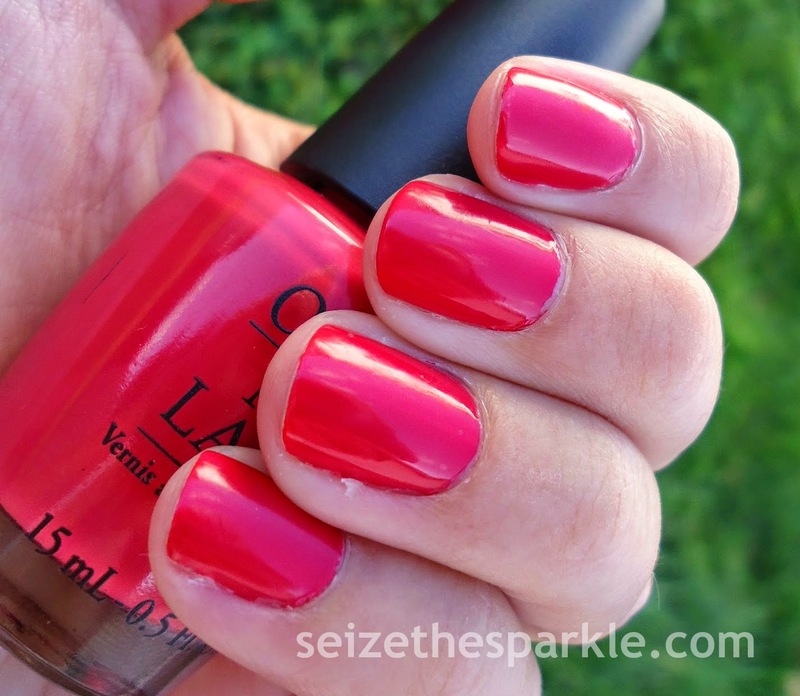 It's a dusty tomato red that I always reach for when I want a classic red nail. Definitely thee favorite red polish in my stash! Tomorrow's prompt is ORANGE... and I'm actually sort of excited about what I've got planned! Stay tuned... it's going to be a busy month here in Sparkleland!